The University of Texas Health Science Center at Houston (UTHealth) has appointed a new regional dean for the School of Public Health San Antonio Regional Campus. Melissa Valerio, PhD, MPH, will begin in the new role after serving for nine months as interim regional dean and serving as a faculty member at the academic institution since August 2012. The new dean has already announced that she has a series of plans for the campus, as she believes there is much to be done on the recent focus of community health and health services integration, addressing the initiatives currently being developed at federal and state levels. Valerio said that she was looking forward to initiating functions as the regional dean at the San Antonio Regional Campus and maximizing the work being carried out at the facility. 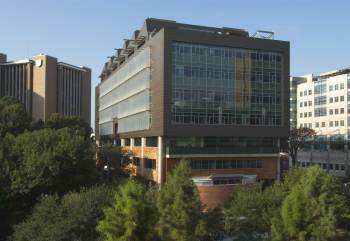 “The San Antonio Regional Campus is a strong campus and we will continue to move forward in addressing the needs of vulnerable communities and populations, including the military and groups that are often unseen,” said the new dean, talking about the unique work that UTHealth faculty members conduct alongside workers, loggers, Bangladeshi factory workers, as well as among other underserved populations. In addition, Valerio announced that she will review the MD/MPH program in order to improve MD training and its incorporation into the public health curriculum. Moreover, Valerio intends to strengthen the partnerships between UTHealth Houston, UT Health Science Center at San Antonio and the Military Health Institute, establishing new collaborations within the central south Texas community. The new dean is willing to collaborate with both community associates and multi-disciplinary teams, particularly in the areas of obesity, arthritis, cancer, mental diseases and poor quality of life. “Coming together with our partners to address those needs will assist in building the community’s capacity to address health disparities. The goal is to create more empowered communities that are engaged as health care consumers,” said Valerio. 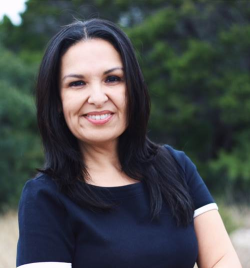 “Because I am from South Texas, I feel a responsibility to make a difference and to help increase quality of life and care for our communities. My goal is to work in partnership with health systems, local government and community organizations in the region so we can better understand the health issues, capacity and priorities for communities,” she added. With a master’s degree in health behavior and health education from the University of Michigan School of Public Health and a PhD in health behavior and health education from the University of Michigan, Valerio has developed research in the field of self-management of diseases and health literacy. She has worked to increase knowledge on the communication between patients and health care professionals, as well as in the development of Verbal Exchange Health Literacy.